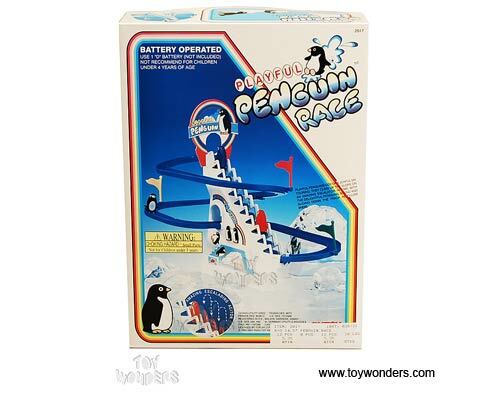 2017 DY TOYS Penguin Race. 14.5" slide set. 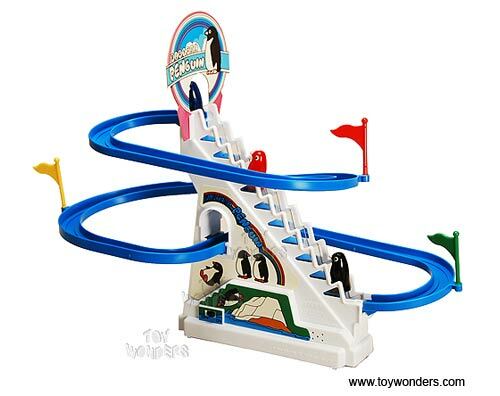 These flightless arctic penguins climb up the stairs and glide down the slide. Great attention getter. Box size: 9"Lx 3"W x 12.75"H. Requires one "D" battery (not included). Requires some simple assembly; no tools necessary.